This year, there are so many new names jumping on the Beauty Advent Calendar bandwagon, right from luxury store Harrods, to drugstore favourite Soap & Glory. Which hopefully means that the brands which previously had Beauty Advent Calendars would have to up the ante and make their calendars better than ever before, right? LookFantastic has certainly done that this year, as also FeelUnique and ASOS. This ensures that you are coming back for next year's box! Given that there are now more than 50 different Beauty Advent Calendars out there, I was hard-pressed to narrow it down to 15. So this - calendars which have improved with each year - became a criterion, and I've also included some of the new names, based on the contents. 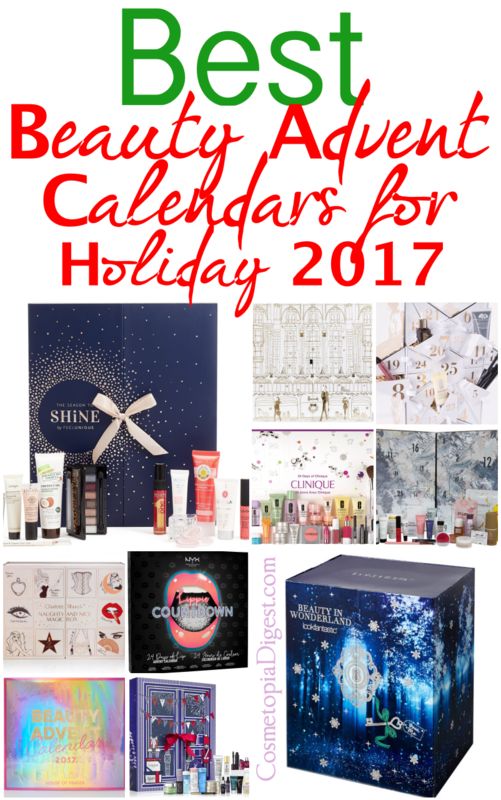 Scroll down for the best Beauty Advent Calendars for Holiday 2017, including prices, contents, where to buy, and more. Launch date: Available on pre-order now. Previous years' contents: Here and here. Launch date: End of October. These make great gift options for someone close to you, and are also nifty treats for yourself. The price range of these varies, from budget options to the zenith of luxury - there's something for everyone. Most of these look like they'll be selling out soon - I can predict confidently that the LookFantastic one won't last too long after its release on October 10 (it is available for pre-order now). Nor will the FeelUnique one hang on for too long after launching on October 18. The multiple-brand calendars are more likely to sell out than the single-brand ones. Are you going to treat yourself or a special person to one - or more - of these? If yes, which ones? Tell me in the Disqus comment box below!